Had a surprise visitor stop by the store today. 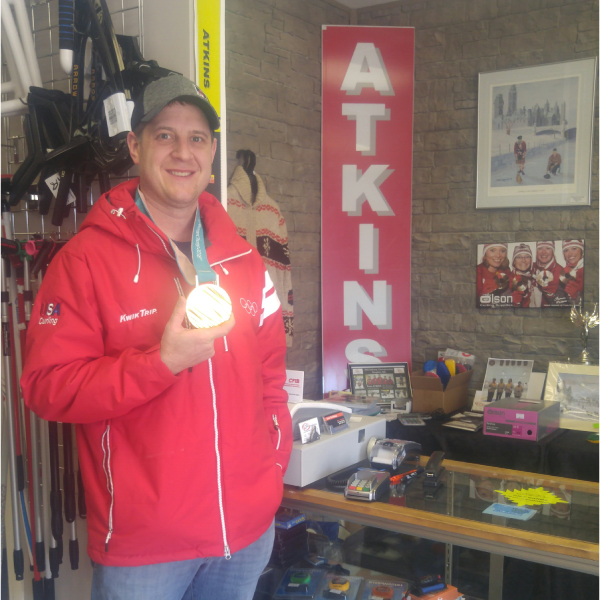 Long-time friend John Shuster stopped in to chat while he was in Winnipeg for the Grand Slam of Curling – Elite 10 Championship. Great to see John again and talk with him about his Olympic Gold experience, sounds like he is very busy these days making appearances to promote our great game. I have known John for many years, very grateful that he took some time from his busy schedule to drop in and say hi. Good luck to John and the rest of Team Shuster, live the dream and ride the wave, enjoy it guys! BTW… that Gold Medal is heavy!